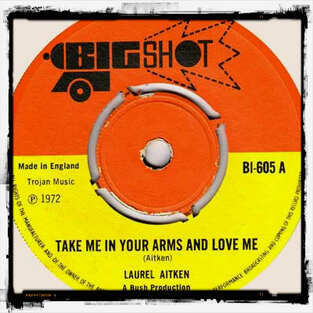 LAUREL AITKEN A SURTOUT FAIT SA CARRIÈRE ANGLAISE DES ANNÉES 69-71 CHEZ PAMA RECORDS LE CONCURENT DIRECT DE TROJAN MAIS IL N'EN RESTE PAS MOINS QUELQUES PERLES SKINHEAD REGGAE SURTOUT EN TANT QUE PRODUCTEUR DE WINSTON GROOVY - PAMA DICE ET KING HORROR DONT LA VÉRITABLE IDENTITÉ EST TOUJOURS SUJETTE A CAUTION. 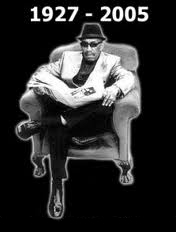 THE COMPLETE LAUREL AITKEN TROJAN SINGLES COLLECTION. TROJAN TRO 9005 FATTIE BUM BUM GONE TO JAIL 1977. Face B DU KEEP IT LIKE IT IS DE LOUISA MARKS.